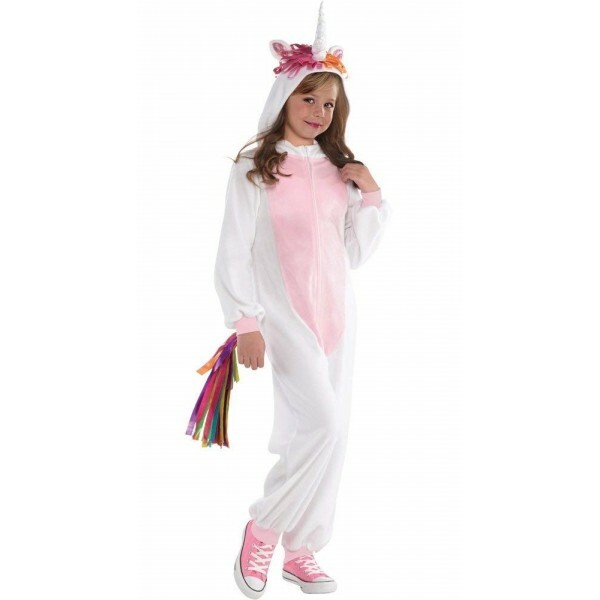 Stay cozy while getting dressed up for Halloween with this cuddly unicorn kigurumi from SP Funworld! Kigurumi combine pajamas and costumes, creating a cozy and warm option for either trick or treating. 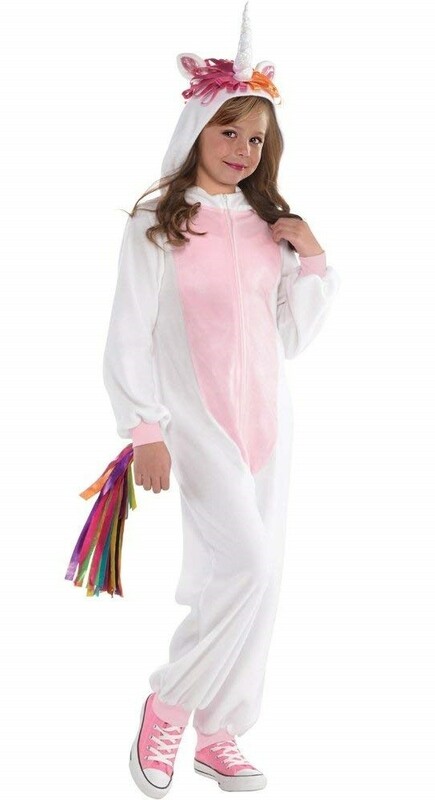 This white fleece costume with a pink patch on the tummy includes a rainbow mane and a rainbow tail that can be removed easily.